IBPS PO Prelims 2017 Admit Cards Released- Download Now! The Institute of Banking Personnel Selection is going to conduct the IBPS Prelims exam for the post of Probationary Officer in various public sector banks in the month of October 2017, on the dates 7th, 8th, 14th, and 15th. The admit cards for the IBPS Tier1 exam 2017 have been released on Thursday, 21 September 2017, on the official website, www.ibps.in. The admit cards can be downloaded from this official website. After the State Bank of India’s SBI PO exam for the post of Probationary Officer, and the Staff Selection Commission’s Combined Graduate Level exam, the IBPS PO exam is the next major and popular exam among degree-holders in India. Every year lakhs of degree holders enroll themselves in coaching institutes or purchase an online pendrive course for SSC and Bank in India to prepare with extreme determination and dedication. With the perks these exams offer, the dedication to become successful in them grows even more. From this year onwards, IBPS will be following the exam pattern and syllabus of SBI PO. This year has seen a major change, unlike every other year. a. Objective Online Preliminary Examination. b. Objective and Descriptive Online Mains Examination. In this selection process, what has changed is the second phase, while the rest sees no major change in pattern. Both phases are computer-based, i.e., online. On interviewing some successful aspirants we have come across the belief that Bank and SSC quant in India is not only tricky but most difficult to achieve accuracy in. While SSC CGL 2017 saw a raised difficulty level in quant, the SBI PO 2017 quant ranged between easy and moderate for the majority of questions. b. Click the link to download Preliminary Online Exam call letter for common recruitment process for PO. c. Enter roll number/ registration number and date of birth/ password. 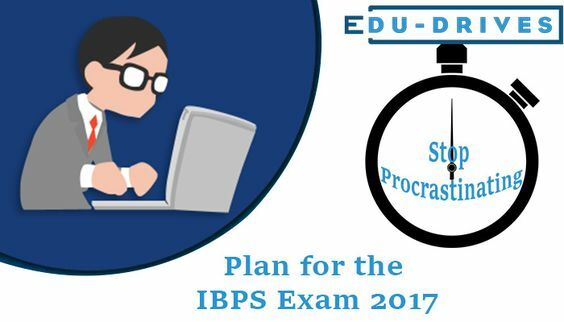 With the IBPS PO Prelims approaching in another 15 days, our advice is to start solving as many bank and SSC mock test online in Delhi and other regions. Author Edu DrivesPosted on September 22, 2017 September 22, 2017 Categories BlogTags EDu-drive, edu-drives, edudrive, edudrives, ibps, ibps 2017, ibps admit cards download, ibps po, ibps po prelims 2017 exam, SBI PO 2017, SC CGL 2017Leave a comment on IBPS PO Prelims 2017 Admit Cards Released- Download Now!